(800) 656-9862 Best Carpet Repair Garden Grove Ca -Talk To Owner Now! If you have a carpet repair concern in Garden Grove, please feel free to give us a call at (800) 656-9862. We will handle any and all of your carpet reapair concerns. 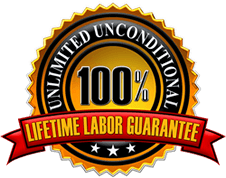 We also will back all of our work with a 100% lifetime guarantee. Read below to learn more, and check out our reviews as well! Thank you for choosing Creative Carpet Repair! Right off the bat, Creative Carpet Repair was very easy to communicate with! From the initial call and estimate/appointment scheduling, to the finished product, I was very impressed with how I was treated! The technician replaced carpet on 4 of our stairs that had not only become unsightly, but a possible trip hazard. With the extra carpet we had, not only did he do the repairs, you could barely tell there was ever a problem! What a truly Professional and quality organization! I would definitely call them again, should the need ever arise! Thank you Creative Carpet Repair! 5★★★★★ – “Creative Carpet Repair was amazing!!! I have 3 puppies that made a big hole in some very expensive carpeting. I was certain that I would have to completely replace the carpet, but I took a chance on having it repaired first, and I am very happy I did! Creative Carpet Repair did a great job with the repairs, and they saved me a bunch of money, because I didnt have to completely replace everything! Creative Carpet Repair Garden Grove is completely willing and able to perform any and all of your carpet repair needs! Whether it’s pet damage, a transition repair, color correcting due to a bleach spill, seam repair, or carpet re-stretching, Creative Carpet Repair is your one stop shop for all your carpet repair needs! When it comes to your carpet, you deserve the very best! Creative Carpet Repair provides carpet repair services in Garden Grove and all the surrounding citites in Orange County and throughout Southern CA! From Huntington Beach, Newport Beach, Laguna Beach, Dana Point, San Clemente, Irvine, Mission Viejo, Aliso Viejo, Lake Forest, Tustin, Laguna Hills, Rancho Santa Margarita, Laguna Woods, Orange, Anaheim, Balboa, San Juan Capistrano, Coto De Caza, Corona Del Mar, Trabuco Canyon, Tustin Ranch, to Orange and more! Call today for a free estimate! We look forward to hearing from you!